The fruits of their collaboration could solve the beauty divide or exacerbate it. The last time I bought foundation, I couldn't decide if I was a "Fair" or a "Light." Confusing names aside, shades of cosmetics are particularly tricky for me -- a relatively pale Asian woman with yellow undertones in my skin. Colors designed for Asian complexions tend to be a bit dark or dull for my liking, while those for white skin look unnatural on me. I'm already luckier than many people whose complexions fall on the darker range of the spectrum: Finding an accurate shade may be a challenge, but I can almost always get an option that's close enough. For others who are more tan, though, that's not always possible. 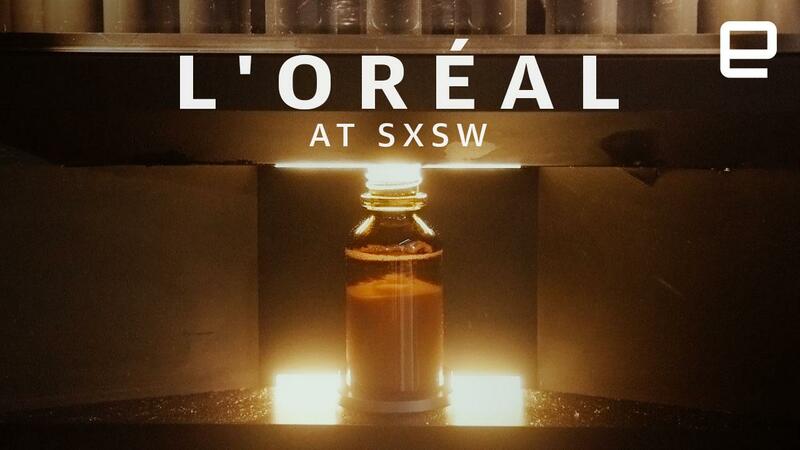 The latest spate of beauty tech seems intent on changing all that. Companies are using tech to provide highly customized products like makeup, corrective skin care and shampoos that are tailored to your exact needs. But while on the surface these appear to be well-meaning efforts to promote diversity and inclusivity, the industry needs to carefully examine every step as it moves forward or risk exacerbating problems around perceived ideals in beauty. Lancome launched its Le Teint Particulier custom liquid foundation in 2016 at select Nordstrom stores. It uses a skin scanner to detect your complexion at various points on your face with the help of an onsite consultant and creates a formula that's best suited for you. The company says it can detect more than 72,000 skin tones and mix your foundation on the spot. Oprah magazine's Manouska Jeantus even said it "answered all our prayers for a foundation that works for dark skin tones." Meanwhile, businesses like Curology, Insitu and Skinceuticals have sprung up in the last few years or so, offering personalized skin care with the help of tech. Curology and Insitu learn about your skin from your pictures and answers to online questionnaires, while Skinceuticals' Custom DOSE (Diagnostic Optimization Serum Expertise) will use in-person evaluations when the service launches this summer. The idea is that the traditional way of classifying your skin as oily, dry or combination is no longer enough -- you should be able to get products based on exactly how dry, supple and pigmented your skin is. That's good news for people who don't fit neatly into a category and want to treat their faces with a precise combination of moisturizers and active ingredients. And it's not just about your complexion. Benefit Cosmetics, which launched an AR brow try-on app earlier this year, said: "All brows are unique, so we built an AR solution that is customizable for any person." But while these products seem to promise greater inclusivity for more diverse skin types, they also come at a cost. Literally. Lancome's Le Teint Particulier will set you back $88 per 1-ounce bottle (price includes the consultation, although refills also cost $88), while the brand's other foundation lines like Teint Idole and Teint Miracle, which have more-limited shades, cost $47 for the same amount. Meanwhile, systems like Custom DOSE and Schwarzkopf's smart salon, which scans your hair to better understand its moisture and color profile for a more accurate treatment, aren't available everywhere. When Skinceuticals launches DOSE, it will start with specific dermatology and plastic-surgery clinics, while Schwarzkopf's service will hit select partner salons first. It's not clear where these are located yet -- whether they're in primarily affluent neighborhoods and major cities -- but typically plastic surgeons don't see very diverse clientele. Reports from the American Society of Plastic Surgeons show that almost 70 percent of all patients who underwent cosmetic procedures in the US were Caucasian, while Hispanic, African-American and Asian-American people made up 11, 9 and 7 percent, respectively. That goes against the very notion of inclusivity. Higher prices and limited availability impede access to these products, so, many people still will not be able to enjoy the benefits. Those aren't the only factors, of course, and things like income inequality and expensive materials aren't necessarily the beauty industry's problem or something companies can control. But they do have a say over other parts of the challenge. "As more and more companies are using technology to develop customized cosmetics, they need to pay attention to issues of accessibility not only from the standpoint of price and availability but from a marketing standpoint as well," said Tiffany Gill, associate professor of history and Africana studies at University of Delaware. "Even if customized beauty provides an opportunity for any women who have been marginalized by the beauty industry, like women of color with darker complexions," Gill explained, "If these products are not marketed in an inclusive way, it sends a message that women of color are not central to [that] brand." To be fair, Lancome does use ethnically diverse models in its marketing for Le Teint Particulier to show off how it can create accurate shades for different people. And other makeup brands like IMAN, MAC, Make Up Forever and L'Oreal have stepped up representation in their marketing. Although, these companies, in particular, have generally provided a wider range of hues than their competitors and benefited from the buzz generated from Rihanna's cosmetics line Fenty Beauty. The singer's 40-shade range of foundations, which include more colors on the darker end of the spectrum than other brands, highlighted the industry's failure to provide good, affordable products for people of varying, and frequently deeper, skin tones. The foundation I mentioned at the beginning of this article, for instance, offers only five shades. Of course, in some cases, exclusivity is the whole point. Maya Mikhailov, chief marketing officer and co-founder of mobile commerce platform GPShopper, believes there are two approaches to beauty personalization -- mass and highly individual. "Mass personalization would be along the lines of Fenty Beauty or Curology –- they offer a great range of products for your individual skin types and shades, but they have an affordable price point and are looking to serve 95% of the market," she said. Lancome and Skinceuticals, on the other hand, are targeting a more discerning audience that might be willing to pay more, she added. Also, companies may simply be reacting to the market's desire for greater diversity instead of being motivated by nobler intentions. "Consumers are the ones pushing the personalization trend and brands are just echoing this change in beauty ethos," Mikhailov said. "[They] no longer idealize one standard of beauty and expect the industry to be responsive to their skin tones, textures and tastes." In its push for personalized products, the beauty industry has more to consider than just inclusivity and diversity. "I worry about the ways the beauty industry is using technology to diagnose beauty problems," Gill cautioned. "Are these technologies going to be based on beauty standards that exalt certain standards of beauty as the norm? Can the technologies fully accommodate a full range of complexions and hair textures? Before embracing these technologies, beauty brands need to ask themselves some hard questions." We've already seen examples of these. 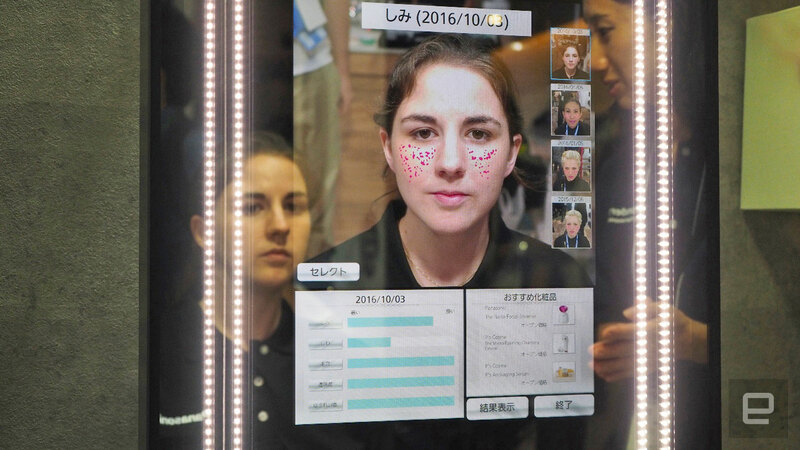 From selfie-tuning apps that think of "beautifying" as lightening skin color and sharpening jawlines, to smart mirrors that seem to think freckles or wrinkles are problems, beauty tech is a situation as delicate as giving a kid a box of matches. Tech products have historically been designed for a specific audience that tends to be white-first and masculine. VR headsets, for example, still can't quite fit on the heads of people (especially women) with thick locks and afros, nor over the glasses of nearsighted, contact lens-averse folks. The industry's effort to use tech and address individual needs seems borne of good intentions. It could be the beginning of a widespread change to being more inclusive, but it also runs the risk of exacerbating problems with marginalization and racial bias. The products we are seeing so far are early examples, so the lack of access and higher prices are somewhat expected. If companies truly want to embrace a broader pool of people in the long term, though, they need to make inclusion a core part of their business and not just marketing hype.